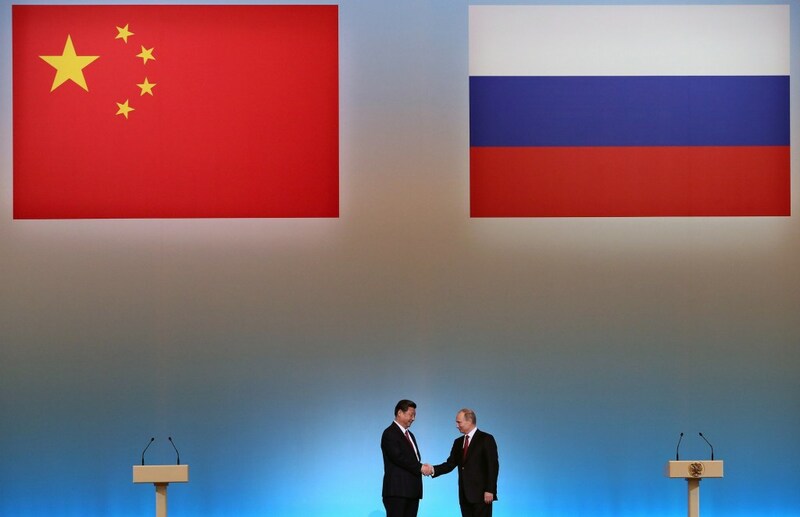 China’s President Xi Jinping (L) is welcomed by his Russian counterpart Vladimir Putin (R) during the opening ceremony of “The Year of Chinese Tourism in Russia” in Moscow, on March 22, 2013. China’s new president Xi Jinping arrived today in Moscow on his first foreign visit since assuming the presidency earlier this month. Xi Jinping and his counterpart Vladimir Putin are set to oversee the signing of a number of energy and investment agreements including a deal that will see Russia ramp up oil supplies to China. Secondly, Russia has managed to resist the West’s pressure in part because of its “rich natural resources” – ie. its economic self-sufficiency – but also because of the strong national spirit of its people.